Good old Apricot Scrub. It exfoliates without being too rough on your skin, and the smell is nice and fresh, not too sweet. I like the original exfoliating scrub in the pot which I keep in the shower, but it's nice to have it in the tube to use on your face with less mess. The price is good, and it works well. 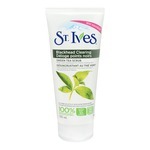 I enjoyed this product, it left my skin feeling smooth and exfoliated. my whole house uses this product, male and females alike. I recommend this product. I really like this product. It definitely does a clean job! The microbeads don't melt the second you try scrubbing, and it smells great. Everyone in my house uses and loves this product. The one concern I have is regarding sensitive skin. 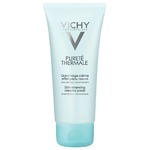 I have very sensitive skin and find if I use this product more than once every three or four weeks I start to develop a bumpy red, burning rash. Not very attractive, and certainly not comfortable! If you do not have sensitive skin, I highly reccomend this product. 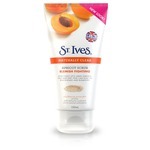 It's a good cleanser (gets your face clean and soft) BUT the crushed apricot seed in it makes little cuts on your face that aren't visible to the naked eye. It broke me out and I think it's because the apricot seed was irritating my skin as much as it was cutting it. * The apricot scrub has a really nice scent and good texture. * This really makes you feel refreshing and clean. * works at removing all the dead skin cells/dirt and whatever else you have on your face. * But not good for the long run, as your skin starts breaking out. Love this product. I have been using it as a face scrub for years. Just recently started using it as a foot and leg scrub also. Great price so I don't have to feel like I am spending to much to feel clean. This works great at removing dead skin. Its nice and gental (unlike the off brand kinds) to your skin.